Recently while reading a local post, I was admiring how the blog owner had neatly organized their blogs by subject. It occurred to me that this is something that I should do as I might talk about a social type issue one week, then talk about some tech type issue for a couple weeks, then hit back to a social issue and so forth so that organizing my blog posts simply by post date may not be optimal. The blog that I initially viewed this organization was hosted on WordPress while my blog is hosted (as may be obvious) on Google Blogger. My initial thought was, "no problem, surely there is a similar feature in Blogger." As with any initiatives like this, I started with a Google search. I searched something along the lines of "How to Organize blogs by subject" and variations thereof. I was surprised to find that nothing simple and straightforward jumped out at me. 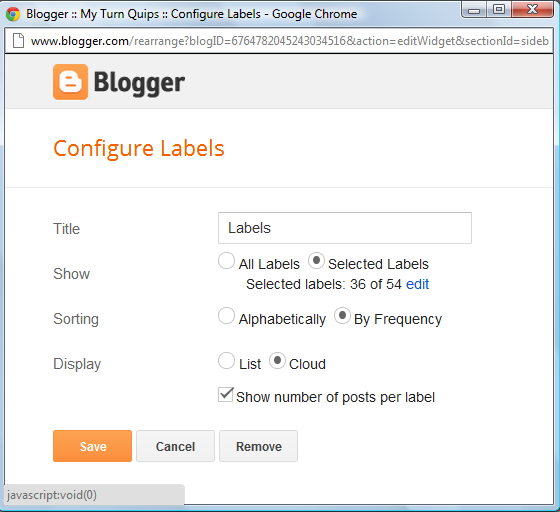 I also poked around in my Blogger settings and looking at "Post settings" but again, nothing obvious. Since this was not a pressing issue, some time elapsed and I had the occasion to skim some Blogger blogs and I stumbled on something that reflected the use of keywords to navigate to past posts. Hmmm, I thought, this is close to what I want... but I've used a bunch of keywords in each post so what a hodge podge this will turn out to be. Since I did not find a blog or other source that discussed my needs in a straightforward manner, I have decided to post my learning here. 1. 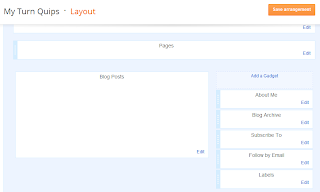 Think about your blog and the posts that exist and identify high level categories that the posts may be grouped under. 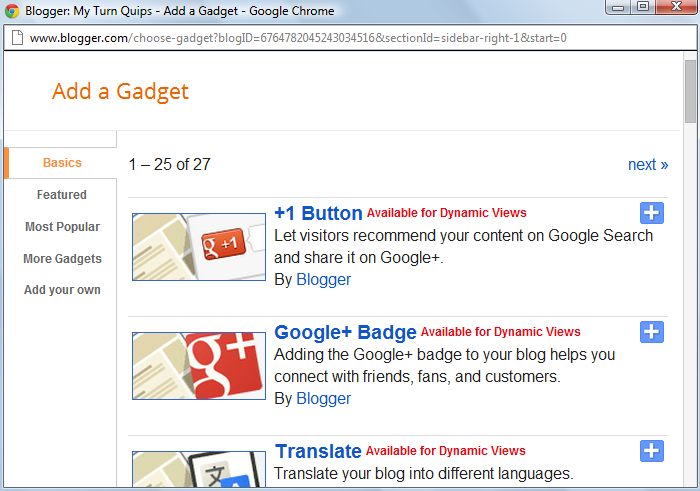 For example, for my blog, I came up with Tech Quips, Social Quips, and Review Quips (more may be added later). Another example, if your blog is about food, you might choose, Desserts, Meats, Vegetables, Fruits, etc. 2. Next go through your existing posts, select Edit and then go into labels and add the high level categories that you identified in step 1. And then "Update" if previously posted or "Save" if the post exists as a draft. 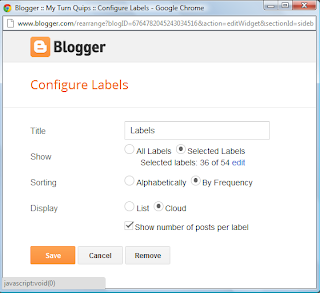 Note, it is entirely possible that it may make sense to place a particular blog in more than one category. 3. 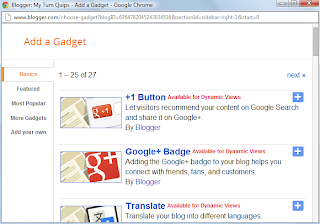 Go to your Blogger Settings, then Layout then locate an area in your template where you are permitted to "Add a Gadget". 4. 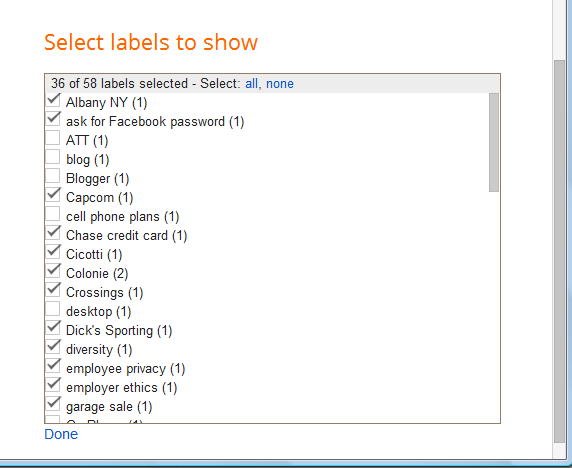 In the Add a Gadget window, scroll down and select the gadget called "Labels"
5. In the Configure Labels window, I recommend selecting the "Selected Labels" and then narrowing down the labels by clicking the "edit" link that appears in the "Show" field. Tip: You can add this Gadget more than once - I changed the "Title" field from "Labels" to "Subject" and then selected only my high level subjects. I also added the Gadget with the default "Title" of "Labels" with the labels that I thought might be of interest to my viewers. Tip: Another use of this strategy may be for blogs that "rate" products or services individually in a single post. For example, if you apply a rating of 1, 2, 3, 4 or 5 for your rating and place this in your labels. You can use this gadget to have your ratings grouped so that all scoring a 1 show up under on "1", 2 under "2" and so forth. 6. 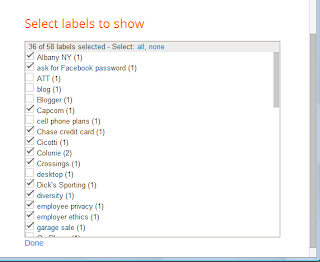 Go through the list of Labels that have been used in your posts and select those that will be helpful to your readers. This is a delicate balance as you don't want so many that it overwhelms your readers, but on the other hand you don't want to exclude labels that may pique interest either. Important: Click the "Done" hyperlink at the bottom of the list of "labels to show" otherwise your selections will NOT be saved. 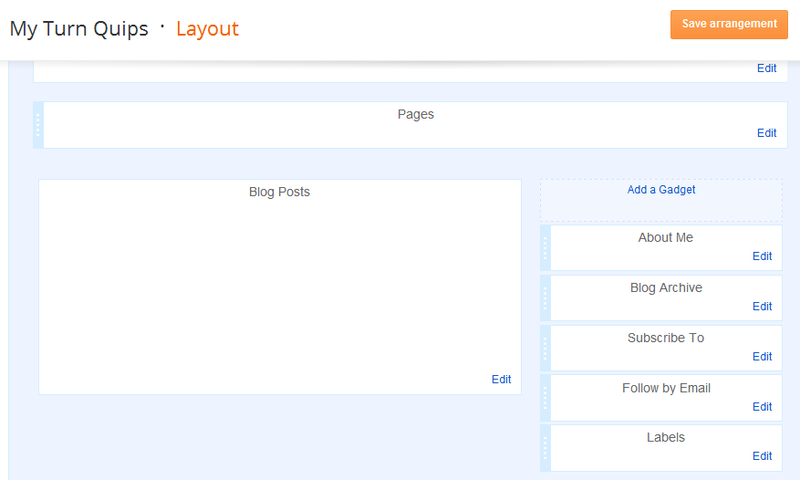 Then, viola, the navigation for your site is now much more useful for users!